New Delhi: Arvind Kumar Pai spent Rs10,000 (Dh568) to get hold of a one-rupee currency note. The 31-year-old primary schoolteacher, from Cherthala town in Alappuzha district of Kerala, disclosed this to Gulf News on his visit to the capital, New Delhi, recently. Pai was among the top 100 international record holders, chosen by record-keeping books from six different countries and felicitated at an event organised by India Book of Records, which is affiliated to Asia Book of Records. He bettered his record in 2016 — with 5,600 one-rupee notes — and yet again in 2017, with 6,500 bills. Subsequently, he bagged the coveted awards. The collection is no mean feat; it required vast amounts of travel and time. Pai journeyed to Chennai, Bengaluru and several districts in Kerala in search of the notes. He is still in contact with like-minded collectors in met along the route, in cities including Mumbai, Kolkata, Ahmedabad and Guwahati. The most Pai has spent of a bill is Rs10,000, for a note signed by S. Bhoothalingam in 1964. It took him many years to procure — he finally bought it from a collector in Chennai in 2009. This is not all. He explains that there are other nuances to collecting notes. For instance, other than from 1950 to 1994, one-rupee notes issued were never stapled into bundles. And from 1995 until 2015, the government had ceased printing one-rupee notes. Currently, his collection comprises one-rupee notes with signatures of 21 finance secretaries. While the first notes of Independent India, printed in 1949, bear the signatures of Keralite K.R.K. Menon, others are signed by: K.G. Ambegaonkar, H.M. Patel, A.K. Roy, L.K. Jha, S. Bhoothalingam, S. Jagannathan, I.G. Patel, M.G. Kaul, Dr Manmohan Singh, R.N. Malhotra, M. Narasimham, Pratap Kishen Kaul, S. Venkitaramanan, Gopi Kishen Arora, Bimal Jalan, S.P. Shukla, Montek Singh Ahluwalia, Rajeev Mehrishi and Ratan P. Watal. “Now, the total number of one-rupee notes in my collection is 11,111, the latest [is] signed by Shaktikanta Das. 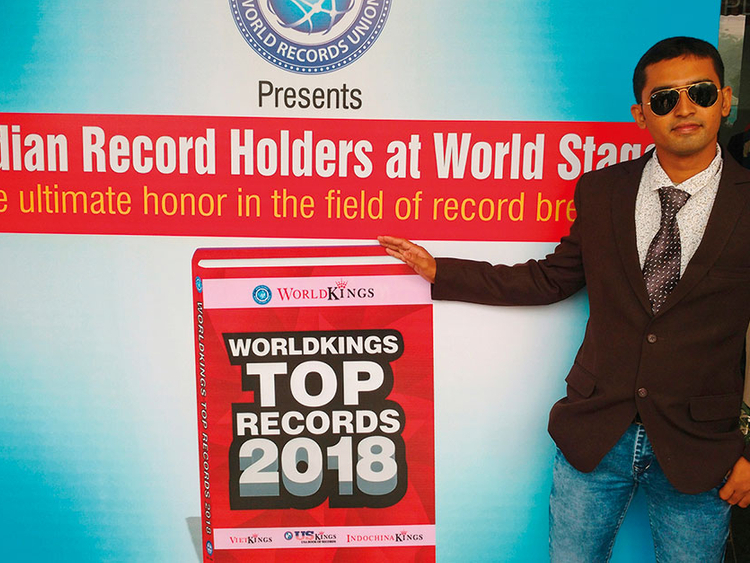 I have bettered my own record and would be presenting the collection for the 2018 Limca Book of Records. Thereafter, my aim would be to enter the Guinness Book of World Records. My focus has also shifted to special notes with important dates, events and birthdays of prominent people,” Pai declares. He displays one that has the number 301084, and says, “This signifies former Prime Minister Indira Gandhi’s death anniversary, while number 150847 represents India’s Independence Day.” Another interesting facet of his collection is the ‘unused’ bundles of one-rupee notes signed by more than 15 finance secretaries. Pai procured them from collectors, who either sold the notes or exchanged them for stamps. However, Pai’s interests are not one-dimensional. He is also an avid stamp collector, with more than 200,000 stamps that comprise those issued on Mahatma Gandhi. In present times, while an ordinary one-rupee note can barely fetch anything other than a toffee, Pai’s collection could be termed a gold mine for the varied features it has. So how does he take care of his collection? “I keep the notes carefully in special plastic folders. These are then inserted in[to] currency albums. This ensures the notes remain in good condition,” he says. • The Re. 1 note will turn 100 on November 30. • The first one-rupee currency came out on November 30, 1917, when the country was under the British rule. • The notes used to reach banks in 25-page booklets and each note had the picture of George V, then British monarch, imprinted on it. • The first one-rupee currency in independent India was issued in 1948 and carried ‘one rupee’ in eight languages. • Malayalam language was incorporated after the formation of Kerala state in 1956. • The notes were printed in orange colour, especially for helping the Haj pilgrims.